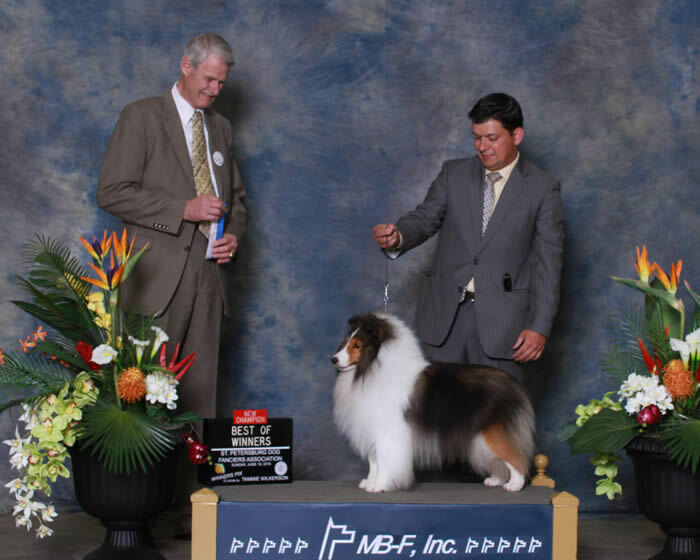 Rally is our latest American Champion finishing in grand style with a 4 point major Best of Winners! Thanks so much to Ash & Milton who took such great care of our boy while presenting our Rally stateside! Rally is handled by his buddy Milton Lopes to this win! Just needs a major to finish his American championship! Jenn can't wait to have her best buddy home! 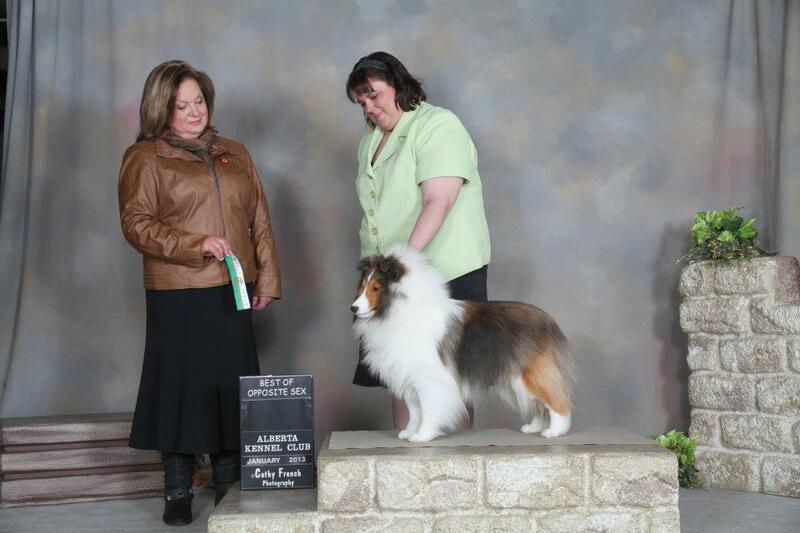 Rally finishes his championship in a stellar flash and then moves on and in limited showing is a Grand Champion. 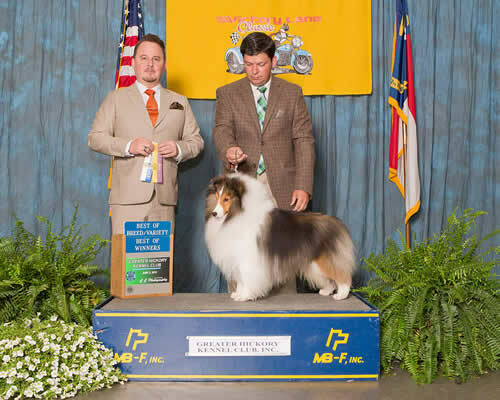 Off to the 2014 American Sheltie National and under breeder judge Mark Houston MacMillan awards Rally a 3rd place in the open sable dog class!